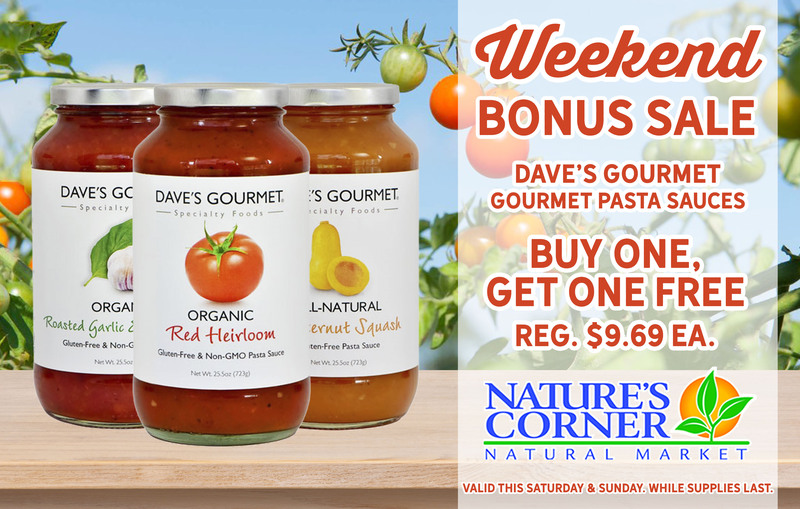 It’s time for another WEEKEND BONUS SALE! This weekend, Saturday, April 7th – Sunday, April 8th, Dave’s Gourmet Pasta Sauces will be Buy One, Get One FREE! Choose from Organic Red Heirloom, Organic Roasted Garlic & Sweet Basil and All-Natural Butternut Squash varieties. Enjoy them with pasta or to add a boost of flavor to your favorite recipes!